Trump's NSA John Bolton told CNN's Jake Tapper that his opinion doesn't matter on whatever the NOKJO leader said, but that Trump takes him at his word. 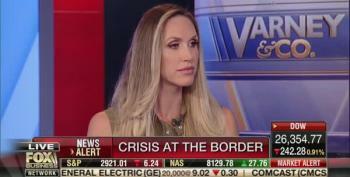 "I'm not the national security decision-maker." At an all-hands meeting, Twitter explained that they can ban ISIS, but not neo-nazis and white supremacists without also catching Republicans in the net. 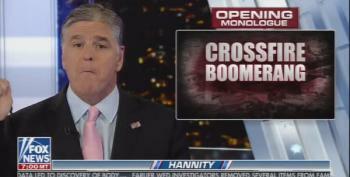 Sean Hannity is desperate to keep building a narrative that insulates His Hero from the consequences of his acts. 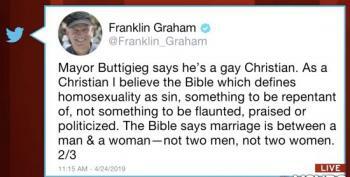 Franklin Graham got the treatment he deserved from the Morning Joe crew for his nasty, judgmental, hypocritical tweets against Pete Buttigieg. 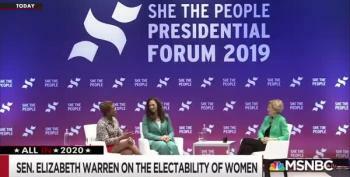 At the She The People Summit, Candidate Warren dazzled the audience (and hosts Joy Reid and Aimee Allison) with her response to those who are still smarting from 2016. 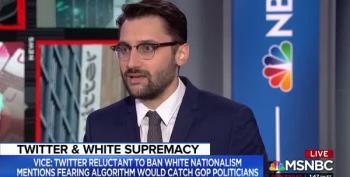 Ben Collins talks about how algorithms that ban white supremacist content will impact Republican politicians. Let that sink in. 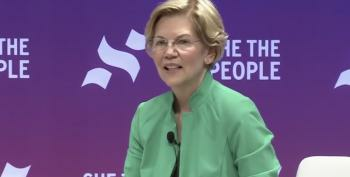 Senator Elizabeth Warren used an anecdote to illustrate why people should not be afraid to vote for a woman in 2020. Scarborough correctly noted that Franklin Graham is a rank hypocrite who should never be listened to. 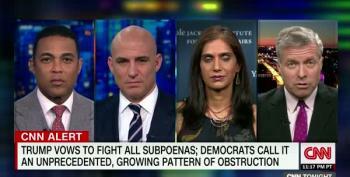 Former Representative Charlie Dent (Republican) says if a Democratic president attempted what Trump is trying with congressional subpoenas? Whoo boy.